Now available on prescription - ask your GP or buy now. Kegel8 Weighted Vaginal Cones are not 'just' vaginal cones...this is a complete Pelvic Floor Strengthening System you use at home for just 12 weeks for fast effective results. 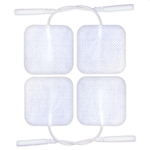 Designed with the help of one of the UKs top Physiotherapists this easy-to-use system is a perfect way to effectively strengthen weak pelvic floor muscles. With the Kegel8 Cones you can easily follow the visual indicator so you target the muscles correctly, and when the cone 'tail' moves downwards - 'EUREKA' you can be sure that you have found the muscles, and that you are exercising correctly for maximum results. 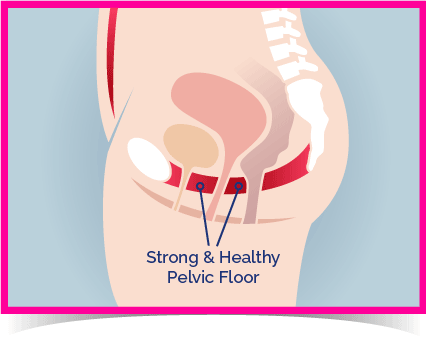 How does the 12 week Kegel8 Pelvic Floor Strengthening System work? 13 Cones, 3 weights. Starting at the lightest, largest cone first you will retrain your pelvic floor muscles back to strength and control in just minutes a day. 2Insert a Kegel8 cone and it activates the pelvic floor muscles, causing them to reflex, especially when you are standing up. 3As you progress through the 12 week plan increase the weight steadily as your pelvic muscle strength improves. 4Use the unique indicator clip so you can see that you are doing your exercises correctly. If the tail moves down, you've got the knack; if the tail moves up, you need more practice. No more guessing, just fast and easy results! Life changing events such as pregnancy, childbirth, & menopause sear a lasting mark on our pelvic floor muscles. How's your body weight? If your BMI is over 25 then you're in the danger zone. Add to that coughing (maybe you have hay fever, or you're a smoker? ), heavy lifting, constipation and straining these all causes lasting damage and make the muscles of the pelvic floor weaker. Exercise today with Kegel8 to avoid prolapse tomorrow! 1 in 3 - Women in the UK suffer with "Laughter Leaks" that really aren't funny at all! 1 in 2 - Women aged 50 will suffer prolapse possibly due to a weakend pelvic floor that is no longer able to support the internal organs as it should. 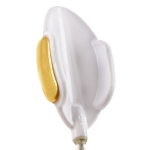 1 in 1 - Women can exercise with the Kegel8 Pelvic Floor Strengthening System. How effective are Vaginal Cones in treating incontinence? Weighted vaginal cones are a great place to start your pelvic floor exercises and what's more health professionals such as Physiotherapists love the fact that YOU are working your muscles. When you use the weighted cones you'll love the fact that you can 'see' as well as feel your pelvic floor muscles moving. No cheating, no wasted exercise and that's great for motivation too, because pelvic floor exercises fail for a lot of women, simply because they stop doing them too soon. That's why with our 12 week programme of exercises and the Kegel8 Pelvic Floor Strengthening System - you'll get amazingly noticeable results. 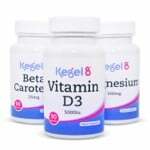 What is the difference between Kegel8 and other vaginal cones? With Kegel8 Vaginal Cones you can see that you are exercising properly – no other vaginal cone works like it! Other vaginal cones are inserted past the muscle bed and just sit there – that's not effective exercising! Kegel8 Vaginal Cones motivate you to work your muscles for results you can see and feel. Kegel8 Vaginal Cones offer you a Beginners & Advanced Exercise Guide that will guide you to results in just 12 weeks – we're with you every step of the way! 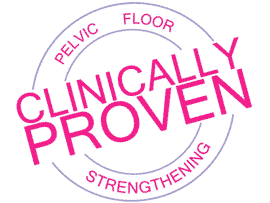 This means your GP can prescribe the Kegel8 Pelvic Floor Strengthening System for you. If you are a new mum, remember getting back into shape will have benefits for you in the years to come, and using the Kegel8 Vaginal Cones will strengthen the muscles, without risking damage. Sadly boot camps, crunches and running whould put too much pressure on your pelvic floor following childbirth so they should be avoided for up to 12 months! If you're suffering embarrassing leaks, visit your GP today and ask for Kegel8! Click here to download the prescription request form to share with your GP. 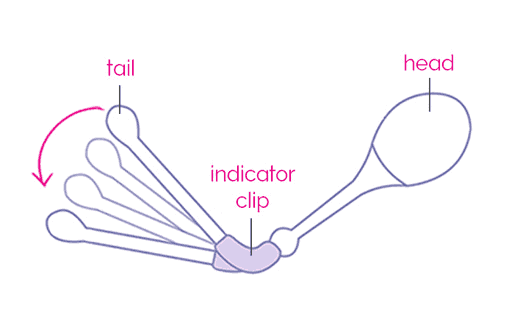 Indicator Clip - When clipped on to the Kegel8 Cone this creates the unique indicator tail so you can see that you are exercising correctly. Free Exercise Guide - Easy to follow instructions including a free beginners and advanced exercise plan devised by a physiotherapist, ensuring you exercise safely and effectively. You are pregnant* - However, the Kegel8 Pelvic Floor Strengthening System is the perfect way to get pack in shape after recovery from childbirth - usually after 6 weeks. Vaginal Infection - If you are suffering with a vaginal or urinary infection, you should wait until it has cleared before you start using the Kegel8 Pelvic Floor Strenghtening System. Prolapse* - If you have a prolapse the Kegel8 Pelvic Floor Strengthening System would not be suitable for you and you should consider the Kegel8 Ultra 20.